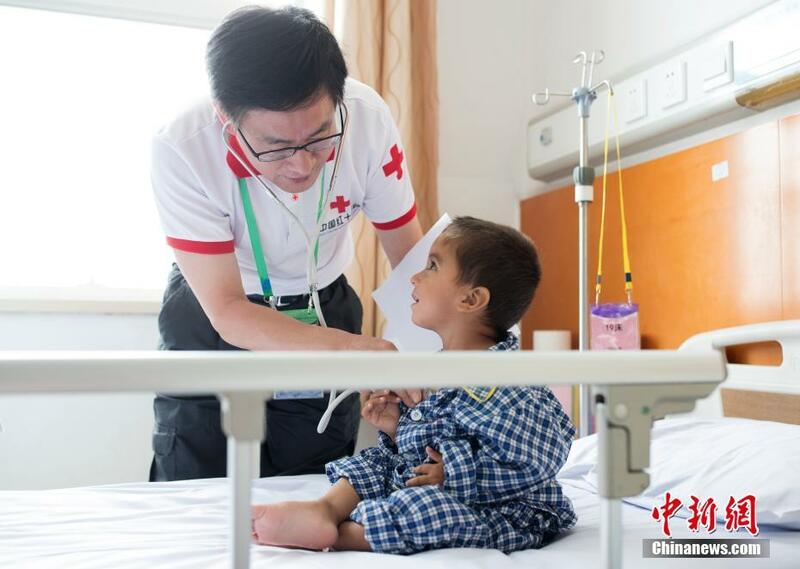 Su Junwu, deputy chief of Anzhen Hospital’s Center of Pediatric Heart Disease in Beijing, checks the health of an Afghan boy at a hospital in Urumchi, the capital city of northwest China’s Xinjiang Uyghur Autonomous Region on July 5, 2018. On the same day, 27 Afghan children with critical congenital heart disease traveled all the way from Afghanistan’s capital, Kabul, to receive free surgeries and medical treatment in Urumchi. 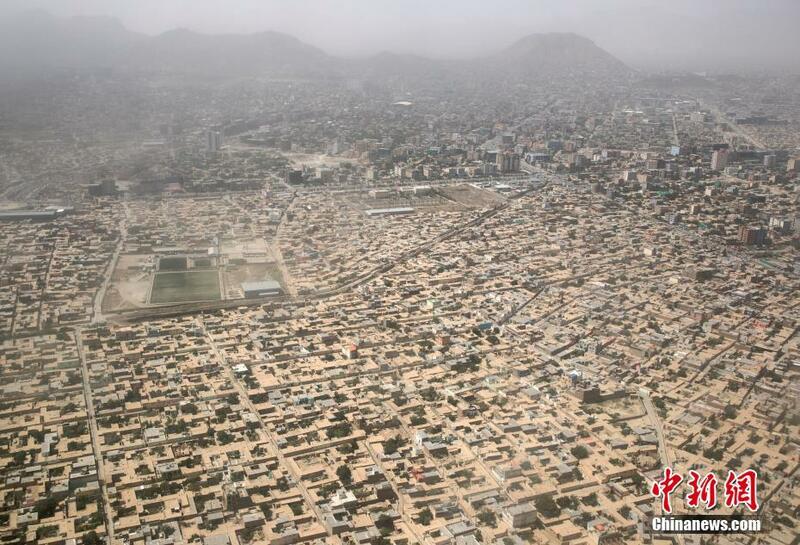 A plane carrying the 27 children and their families flies over Kabul, capital of Afghanistan, July 4, 2018. In February 2017, the Chinese Red Cross Foundation (CRCF) launched the Silk Road Bo’ai Fund, a non-profit program which aims to provide humanitarian services to countries along the Belt and Road such as Afghanistan and Mongolia. 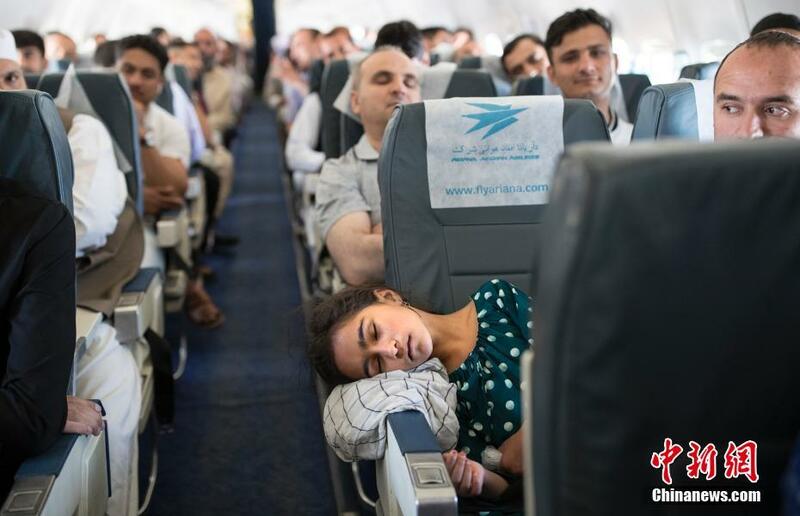 A patient falls asleep on the plane en route to Xinjiang, July 4, 2018. About 7,000 children with congenital heart disease are registered at Afghan hospitals, according to the Afghan Red Crescent Society. 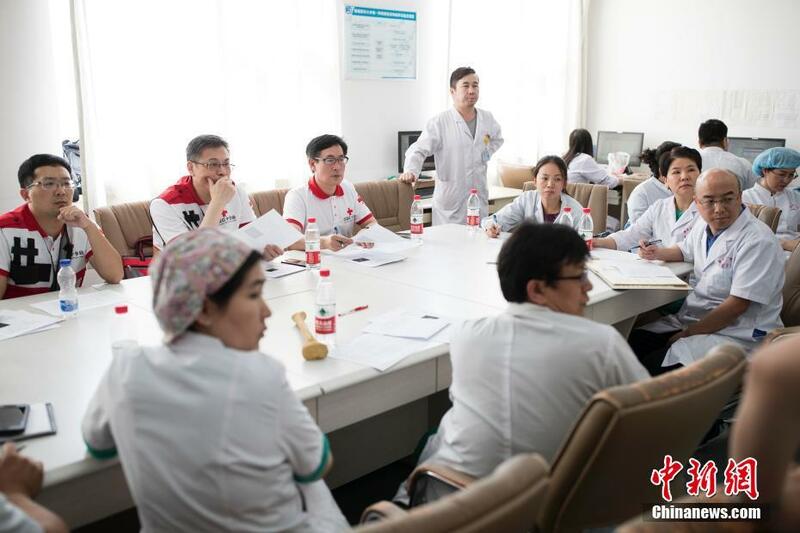 In an activity to find and save the patients earlier this year in Afghanistan, the CRCF chose 79 patients with the most critical symptoms for free medical treatment in China. 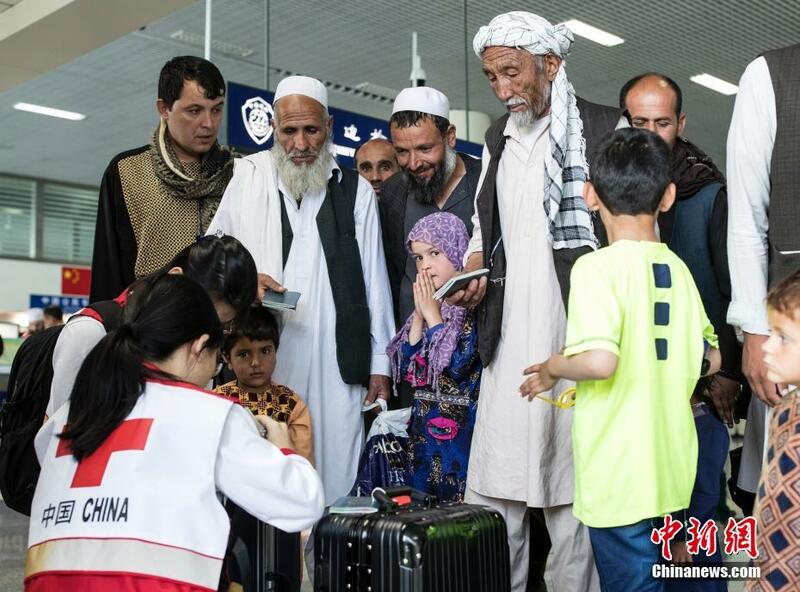 CRCF staff members help Afghan patients and their families get through the entry formalities at an airport in Xinjiang, July 4, 2018. Chinese doctors make plans to guarantee the surgeries go smoothly, July 5, 2018.